Working memory is a part of short-term memory that allows us to hold and use information in our minds for brief periods of time. It is used when a student needs to think and remember at the same time. You can get a working memory practice exercise for your students below. 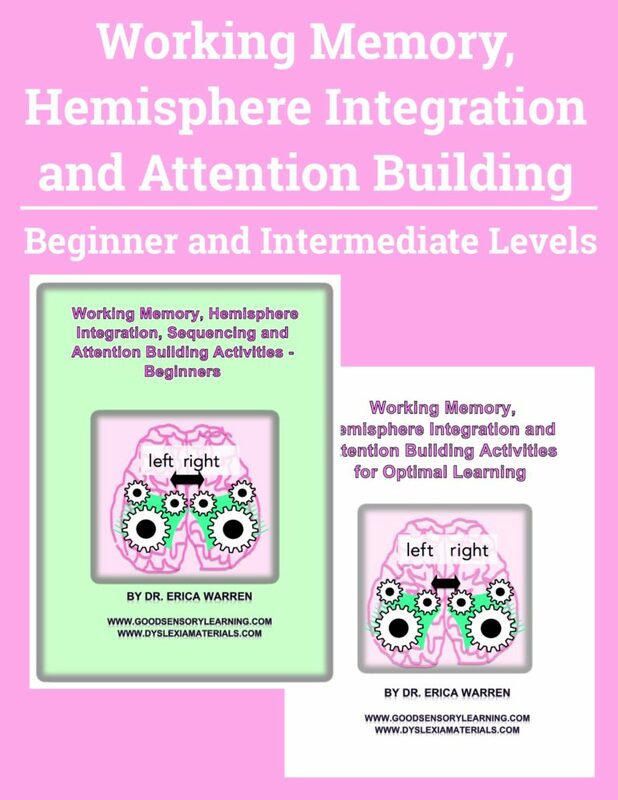 Dr. Erica Warren, a learning specialist, and educational therapist created the Working Memory, Hemisphere Integration and Attention Building Bundle which includes 2 digital downloads that offer cognitive remedial tools to strengthen working memory, attentional skills, mental flexibility, and processing speed. 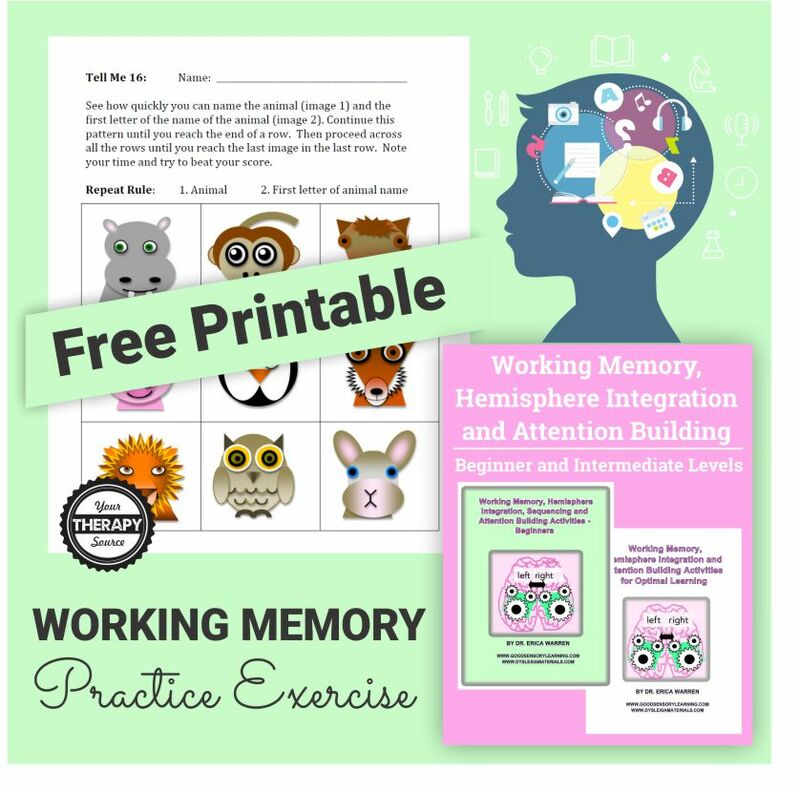 You can download a FREE sample activity from the Beginner’s packet for a working memory practice exercise. In this exercise, students have to see how quickly they can name the animal and the first letter of the name of the animal. They continue the pattern until reaching the end of a row. Then proceed across all the rows until the last animal image in the last row. Record the time it takes to complete the working memory practice exercise. DOWNLOAD YOUR FREE WORKING MEMORY PRACTICE EXERCISE HERE. The Working Memory, Hemisphere Integration and Attention Building Bundle includes 2 digital downloads that offer cognitive remedial tools to strengthen working memory, attentional skills, mental flexibility, and processing speed. The fun NO PREP activities have been created by Dr. Erica Warren, a learning specialist, and educational therapist. What is working memory and hemisphere integration?